I have a friend who sells organic fertilizers and he marvels how AZ irrigates and is productive. Originally a grape grower in CA, he now lives in AZ. He also marvels how well maintained the roads are in AZ compared to CA. 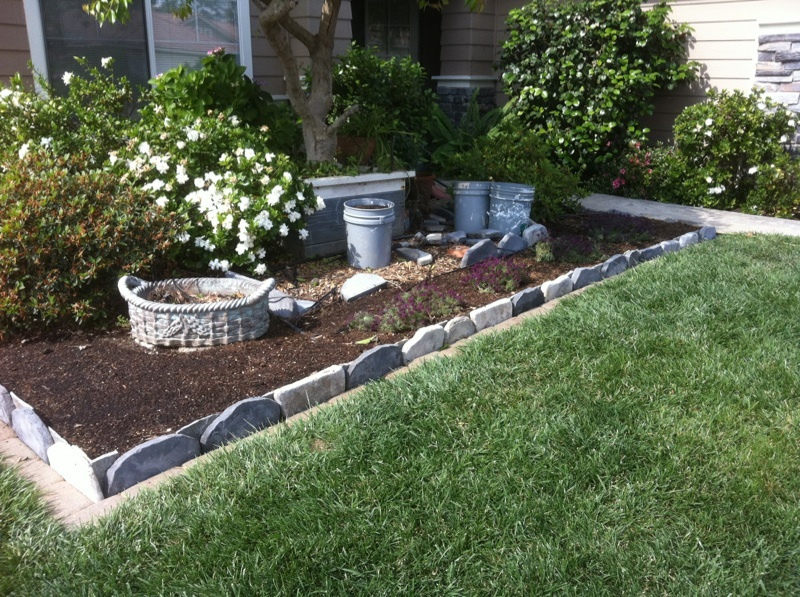 We are going to remove part of our lawn in the front yard and go BTE with perennials and annuals. There is a nasty fungus that kills Fescue grass. It looks nice in the winter but dies in the summer. And, yes, it is watered. May I ask: What's BTE? 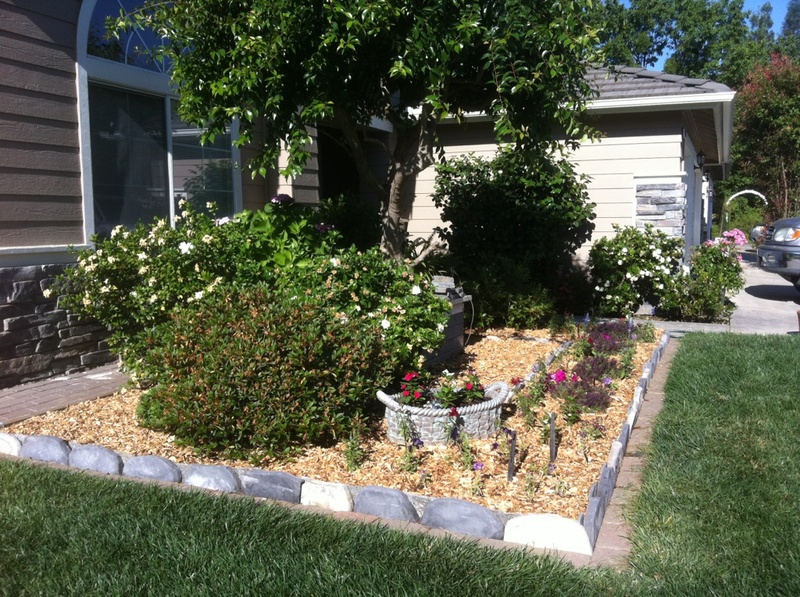 It is an alternative method of gardening and landscaping. I use it for the flower beds. Lots of compost topped with a thick layer of wood chips or ramial wood chips (chipped live limbs with green leaves). Back to Eden. Before. Bed weeded and topped with lots of compost with some peat moss and vermiculite. I just can't seem to get away from Mel's Mix! After: Topped with ramial and plain wood chips. In another thread, I started listing agriculture production of California. Different parts of the State produce different major crops. A lot of corn, cotton, alfalfa and wheat, stone fruits and nuts, olives, tomatoes, peppers, and table grapes are produced in the Central Valley with its hot weather. The coastal areas produce a lot of medium to cool weather crops that would fry in the Valley. Water for Agricultural needs is a hot topic, especially in the Central Valley where I live. "California grows over 200 different crops, some grown nowhere else in the nation. Crops include grapes, almonds, strawberries, oranges and walnuts. California produces almost all of the country's almonds, apricots, dates, figs, kiwi fruit, nectarines, olives, pistachios, prunes, and walnuts." @sanderson wrote: It is an alternative method of gardening and landscaping. I use it for the flower beds. Lots of compost topped with a thick layer of wood chips or ramial wood chips (chipped live limbs with green leaves). Back to Eden. AH! 'back to eden' ...ok.
AH! 'back to eden' ...ok. wrote: AH! 'back to eden' ...ok.
Back to Eden is a perfect compliment to SFG for larger areas that don't have to be "pretty." Like SFG, it's less work and better results than traditional dig and till methods. BTE is perfect for trees, shrubs, and big beds of the same crop -- like asparagus. For raised beds of smaller plants, thee's nothing to compared with the tidiness of an SFG bed, laid out with nice, straight grids. The basket is concrete. Resin or plastic is really too hot here without sun protection. 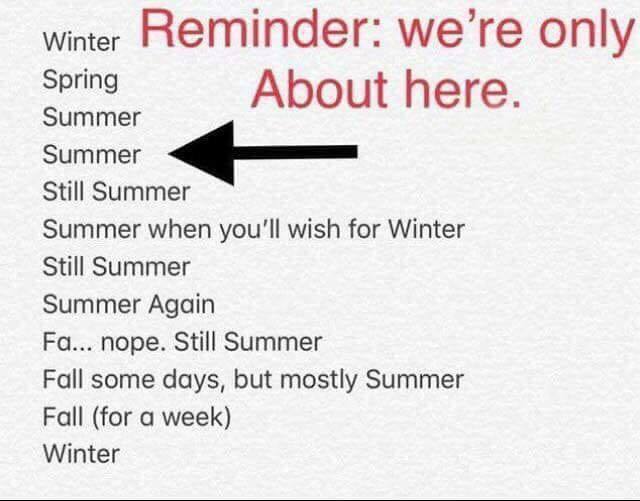 For my location replace all the summer entries with winter and vice versa and you will have the length of the seasons in Ottawa Canada. I was born in Buffalo, NY. My brother always said we had 2 seasons -- 4th of July & winter. @countrynaturals wrote: I was born in Buffalo, NY. My brother always said we had 2 seasons -- 4th of July & winter. This year I'm sure it seemed that way. Sanderson, have you thought of a Rain Garden there? Sqwib, That would require rain or a water source, correct? We only receive 6-12" of annual rain (in Central California) and that is in the spring. California is going in the direction of severe water rationing, fines, xeriscapes. Is the rain fall in central California similar to southern California? @sanderson wrote: Sqwib, That would require rain or a water source, correct? We only receive 6-12" of annual rain (in Central California) and that is in the spring. California is going in the direction of severe water rationing, fines, xeriscapes. Sqwib, SoCal, Central Cal, NoCal and the coastal communities all have different rain patterns and amounts. A rain garden would not be practical here, but I do my best in the back yard to have plants, mulch, shade and 2 trees to keep it as cool as possible. 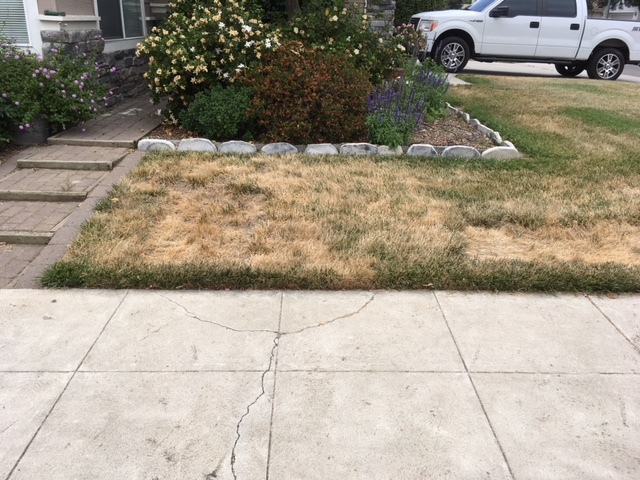 We will probably remove our front lawn (The state will pay up to $2000 for removing lawn). I need to research burying tree limbs so see if we can improve moisture in the ground for our replacement landscape, including one tree which is required for the money. I should imagine you will have a desert garden with rocks and sand. It sounds to me a good idea to bury lots of tree trunks, branches and wood chips to absorb water for when it does rain. I can just imagine what would happen if everyone removed their lawns and paved over the space and how the one tree would manage. It must be a deep-rooted tree to get down to the moisture. @sanderson wrote: Sqwib, SoCal, Central Cal, NoCal and the coastal communities all have different rain patterns and amounts. Do you mean like hugelkulture? I guess maybe below ground hugelkultur with swales may help. I was going to do a rain garden but with buried logs but for a different reason, I need a way to hold the water so it doesn't flood the patio. I did a little research on seasonal rainfall in CA and I was amazed at the minimal amount of precipitation certain areas get like Bakersfield and Bishop. In Philly our supposed rainfall is 41 inches and after reading through this thread, I will never complain about the Rain again. 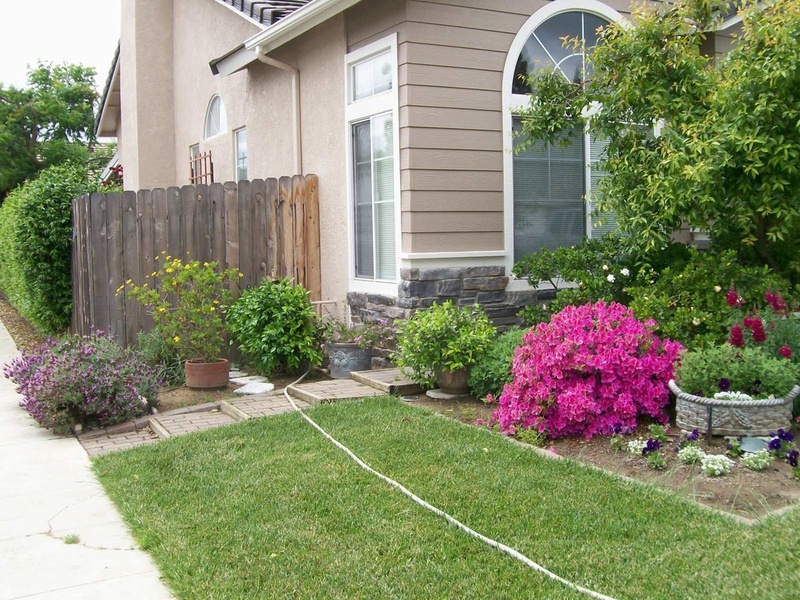 On the Central Coast, in California, the local water management district has offered an incentive to save water by reimbursing the cost of removing a lawn and planting "water-wise" plants. There's a catch; once the deal is done the district places a lean on the property title in case the owner replants a lawn and ditches the landscaping. They were offering a $2000 max rebate, but those funds were quickly eaten up by the stampede of people that are being taken to the cleaners by our private water provider. The laws were changed that outlawed watering with untreated water so that it is no longer illegal to water our plants with reclaimed water from the sink, baths, and washing machines. A few years before, my neighbor was cited for discharging his wash water onto the lawn- things have changed! You do not live in a desert, even though sometimes it feels like it. When my daughter was a Girl Scout Brownie, we studied the Western Bluebird habitat because they wanted to help a local organization put together a Bluebird trail. That's when I learned about native plants with help from the Theodore Payne Foundation. I converted my south-facing front yard to a California Native garden. I kept my Italian Stone Pine tree and let the sun kill off the grass so I could figure out the perimeter that the shade protected. Outside of the perimeter, I planted native plants--salvias, buckwheat, penstemons, Arctostaphylos, Berberis, Calliandra californica, Coffeeberry, Monardellas--these are just a few of them. Inside the perimeter, I kept the grass, protected by the shade of the Pine tree. I do not water regularly; in the beginning I did, just to give the plants a good start. I urge you to look into natives, but mostly, I wish you good luck with your landscape changes. I belong to the CNPS and go to their plant sales twice a year. Their selection is impressive and nothing looks like cactus! I have been to the Clovis Botanical Garden. I applaud the Garden and all the folks that work on it. But, and it's a big but, a plant has to turn me on in some way for me to like it. Mainly, it must be green with white, purple or pink flowers. Otherwise, I personally find it depressing. We will probably tackle the project in October when it cools down and we are back from our vacation. I will need to help, even though Ken will run the equipment and do heavy lifting. These are in the running: bee balm, cat mint, lavenders, Blue Blossom ceanothus, CA poppy (orange, but it will only herald spring), solid yellow daffodils Mexican sage, common yarrow (white), lupine, bearded Iris, sweet peas, Bowles mauve, carnation, lilac, climbing rose, phlox, ornamental onion, snap dragons, society garlic, alyssum, chrysanthamum, plumbago, freeway daisy, pansy, verbena. For 3 nights I have been wide awake thinking about this project and I finally came up with a plan. Later.